The Most Beautiful and Stylish Leather Ottoman Benches with Storage for the Living-Room! Leather storage ottomans are very stylish and elegant! They can also be used as an extra-seating space or for putting your feet up and relaxing! You can usually find them in many beautiful colors and designs! Black and dark brown or espresso are the most popular leather ottomans being sold and they are definitely very elegant, but I also love the ones in different colors as well, such as red ones, light blue, white and orange. A nice storage ottoman bench also makes a wonderful gift idea for new home owners! Here are the most beautiful and stylish leather ottomans with storage I found! 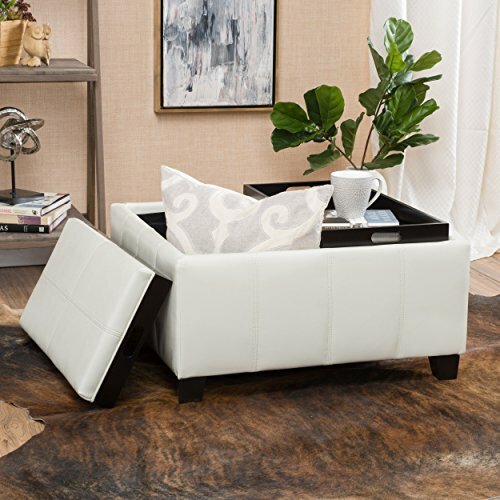 What I love about this gorgeous and very stylish espresso color leather storage ottoman is that it also comes with four wooden trays on the reverse side so you can serve your favorite drinks to your guests! How fancy and practical is that? 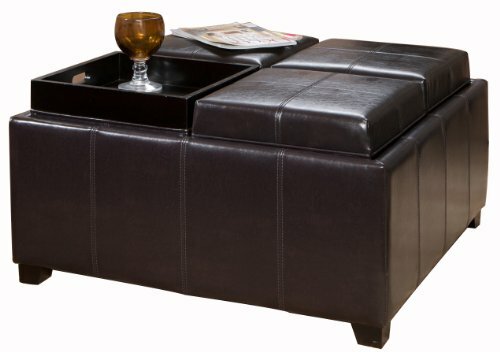 Besides serving as a regular ottoman, it is also a roomy storage space and a coffee table! Great quality piece at a fair price! I absolutely LOVE white leather furniture! I think it is very stylish and it makes any living-room or bedroom very elegant! 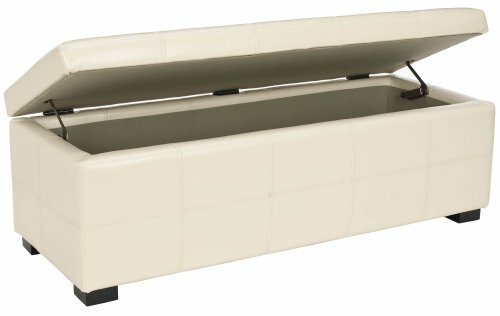 This is a very beautiful white leather ottoman storage bench for sale! As you can see it has a very nice storage space! You can have it in your living room or in your bedroom, to store your blankets and sheets. 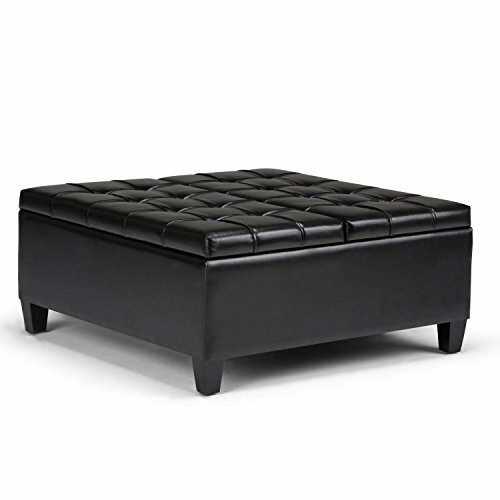 I had to show you this stunning midnight black faux leather square ottoman with storage! I love this cool tufted design! It also makes a wonderful housewarming gift idea for someone you love! One of my favorite leather storage ottomans for sale! Another gorgeous and very elegant white leather storage ottoman for sale! Perfect to have in your living-room if you already have a white leather couch! This ottoman is also very sturdy. 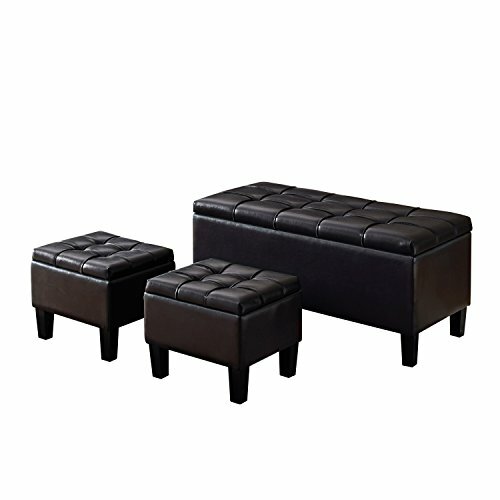 It is a 3-piece storage ottoman for the living-room in a beautiful and shiny black PU leather! Not only can be used for storage, but also for seating! All you need now is a beautiful black leather couch and you are all set! 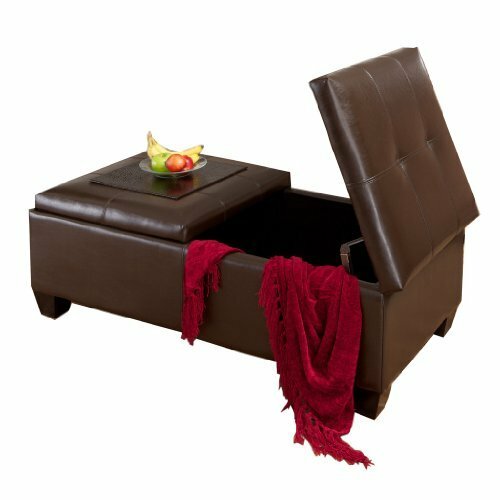 I really like this super stylish dark brown leather storage ottoman with this cool slide-out drawer! 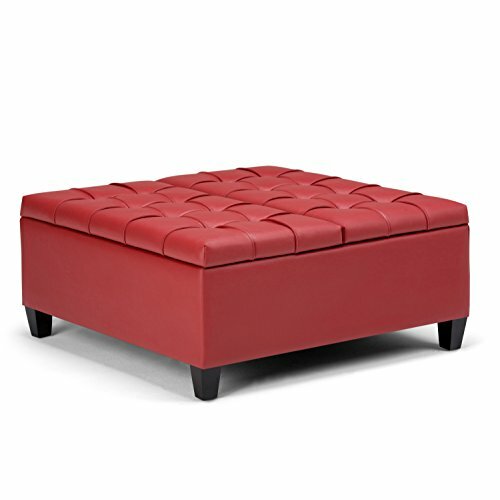 How bold is this red leather ottoman for sale? If you are into red leather furniture, then this is for you! It is a very nice and solid piece with two trays on top to serve your drinks! 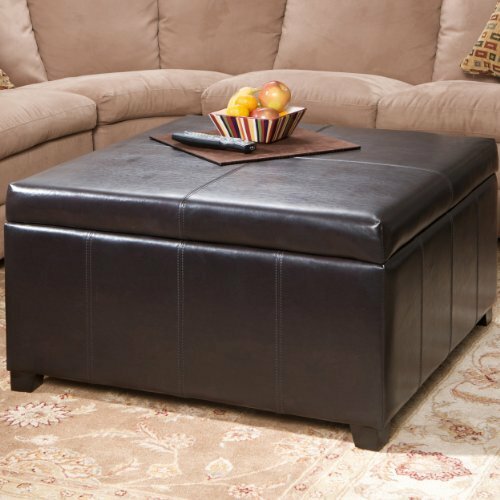 This is a very beautiful and very elegant chocolate brown leather storage ottoman for your living-room! It is always very stylish! Will definitely complement your living space! 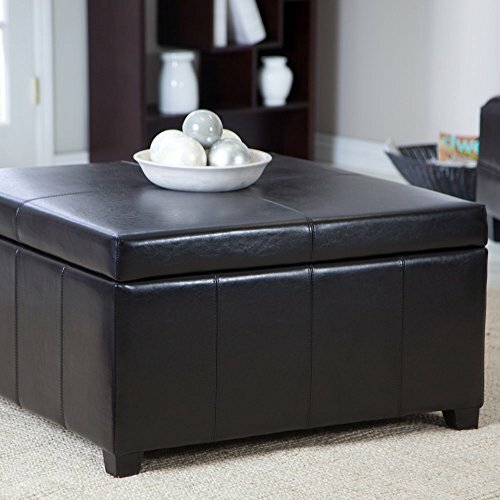 This gorgeous black leather with a large storage space is perfect for any living space! It looks great pretty much everywhere you want to place it and it is very convenient! Great to storage games, DVDs, magazines, blankets or anything you might need! *I hope you enjoyed these leather ottoman benches with storage on this page! Amazing Luxurious Round Leather Beds!